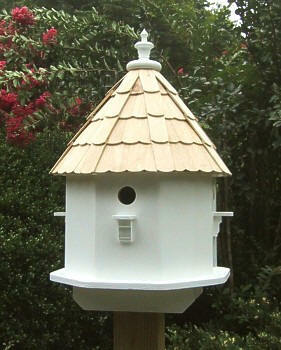 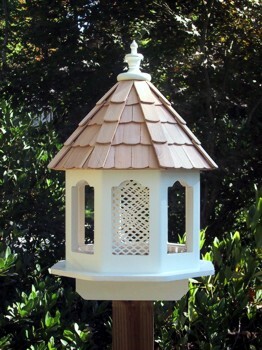 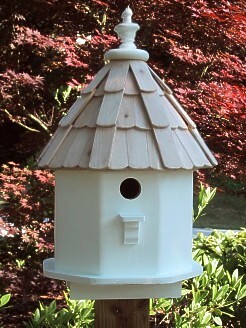 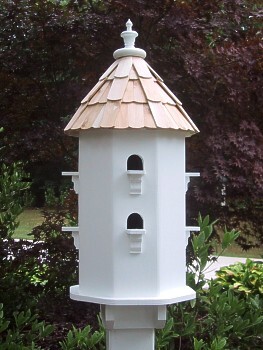 Add some beauty to your cottage garden with these beautiful handmade birdhouses. 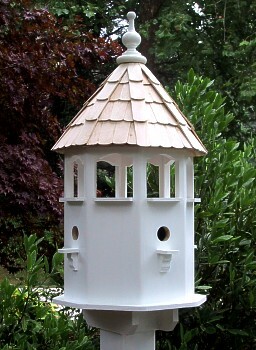 Most recently, the Songbird Cottage bird house was featured on the cover of Better Homes & Gardens special spring issue of Garden, Deck, and Landscape. 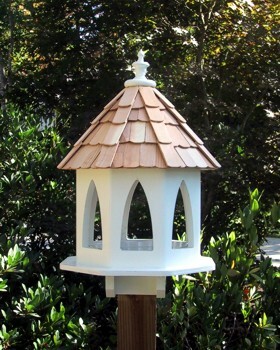 All of these products are designed for many years of outdoor entertainment for your family and friends, and of course, “For the Birds”! 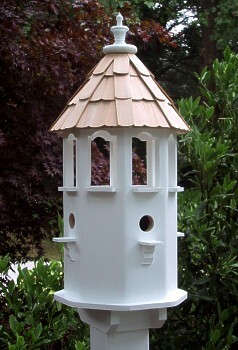 We make every effort to design our bird houses and feeders with songbirds in mind so they’ll return year after year. 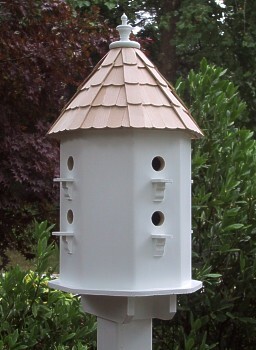 Our birdroom dimensions, entryway holes, and materials are selected and sized to meet established songbird preferences as well as provide for their well-being.